Welcome to the online home of the history of Little Shelford. The war record of Little Shelford war hero Sid Dockerill has been published. Read more about Little Shelford's links with World War One. called A Record of Shelford Parva. It was the first dedicated history book of Little Shelford. The book includes colour and black and white paintings, drawings and photos of Little Shelford in the 19th and early 20th century. The book was never published and the only copy is kept in the Cambridgeshire Archives. The beautiful book was re-published in 2013 with support from the Heritage Lottery Fund. Excerpts of A Record of Shelford Parva are featured on this website. It mentions former England football captain Arthur Dunn, famous garden designer Lawrence Johnstone and war hero Sid Dockerill. World War One manoeuvres by troops in Little Shelford have been highlighted in a new book. Read more about Little Shelford's links with World War One. The first photo of village historian Fanny Wale has emerged. A special peel of bells was rung on April 23 2017 to mark the death of Ernest Meadows in the Battle of Arras. There is a mystery surrounding 2 Egyptian paintings by a member of the Wale family. The grave of a Little Shelford soldier has become a shrine in India. And an article based on his diary and his accounts of battles in Indian in the 19th century has just been published for the first time. His two daughters (pictured) escaped from the Indian Mutiny with their mother hidden in a cart pulled by bullocks. See more Hauxton Road photos here. A transcription of the 1911 Census is now on the website. It includes a baker and a blacksmith and five young men who would lose their lives a few years later in the Great War. A map more than 200 years old has just been published on the website. Census details from Little Shelford in 1851 have now been added to the site. A photo showing a partial village green at the corner of Church Street and Manor Road 100 years ago has emerged. 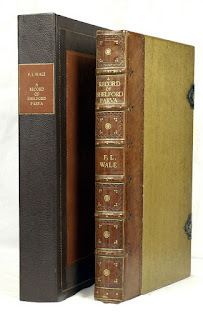 The photo was probably copied by Fanny Wale for her book, A Record of Shelford Parva. See more old photos here. A new book featuring Little Shelford spitfire hero James Coward has just been published. Australian Eagles tells the stories of five Australian pilots and one adopted Australian who successfully defended Britain against the Luftwaffe onslaught. It has emerged that Sir Charles Daniel, Third Sea Lord, who was involved in the surrender of the German fleet in 1918, lived in Little Shelford for over 20 years. 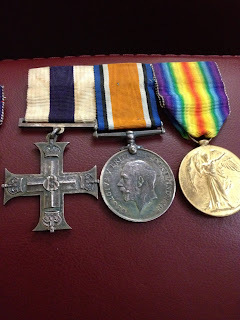 The Military Cross won by John Pares Wilson from Little Shelford has just changed hand on Ebay for over £1,000. 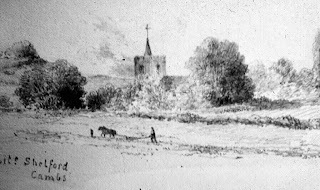 A drawing of All Saint's Church with Camping Close in the foreground drawn by the Cambridgeshire artist Osbaldeston around 1850 has just been shared with the website by historian Mike Petty. Alfred Rayner and grandaughter Blanche Potter are pictured outside Rosemary, High Street, Little Shelford in 1932. Do you have any information on the Cracknell family who lived in Garden Fields in 1930s?. Blanche Downing came to the recent history open day trying to discover why her family moved from London to Shelford in 1930s. This is what The Navigator pub in Little Shelford used to look like when it was known as the Plough. You can see more old pub photos here. Little Shelford's first village sign was installed in the autumn of 2015 on the smallest village green in England. Read the explanation about all the elements of the sign here. A new painting of Little Shelford Hall, which burnt down in 1929, has just emerged. This painting of the wedding of Adelaide Wale in 1881 at Little Shelford Hall has been shared with this website. 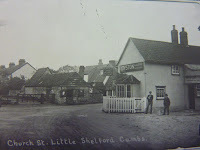 You can see more old photos of the High Street in Little Shelford here. Photos of all the memorials in All Saints Church are now available on this website. Documents about Little Shelford from as far back as 1686 were highlighted at a talk by the former Principle County Archivist in February. This photo of Garden Fields has been shared with the Little Shelford history website. See more pictures of Garden Fields here. An aerial photo of Courtyards in the 70s has just emerged. See more old photos of Courtyards here. 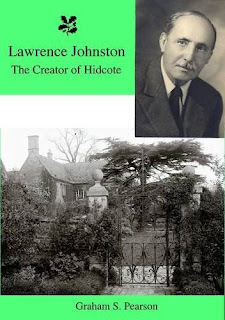 A book has been republished highlighting the period when Hidcote garden designer Lawrence Johnstone lived in Little Shelford. A model of Little Shelford Old Hall, which was demolished in 1850, has been discovered in a storage room in a museum in Cambridge. Thomas Blossom was one of the founding fathers of America. Thomas and Anne Blossom were among the first Puritan settlers in New England. He was born in Little Shelford around 1580. His American descendants include former U.S. Presidents Barack Obama and George W. Bush. This is what Winners Chinese takeaway in Little Shelford used to look like when it was known as the Chequers public House. You can see more old pub photos here. This photo of All Saints Church in Little Shelford dates from the 1860s. You can see more photos of the Church here. A book including details of Edward VII's visit to Little Shelford has just emerged. One of the first true stars of our national football team lived in Kirby Lodge and is buried in Little Shelford. Arthur Dunn captained England, gaining four caps and scoring two goals in the process. He also played in two FA Cup finals, becoming a byword for sportsmanship. This is what the Sycamore House restaurant in Little Shelford used to look like when it was known as the Prince Regent. Sycamore House opened 21 years ago this year. You can see more old pubs photos here. This was one of the buildings that has been used as school in Little Shelford over the years. You can see more here. This is what the Little Shelford Memorial Hall used to look like before it was rebuilt in 2000. You can see more photos of the hall here.